Galaxy group NGC 4261 (after the elliptical galaxy on the right) is located around 100 million light-years away in the constellation Virgo, near (sw of) M49. 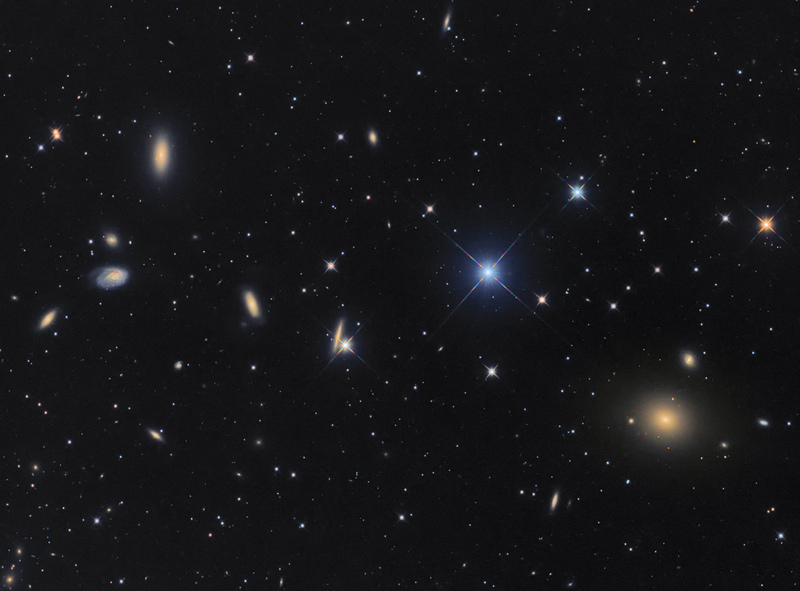 At such distance it is, however, not a member of the (twice closer) Virgo cluster. NGC 4261 is best known from the study of it!s supermassive black hole and a Hubble picture.